Today is a day that Stephanie was very excited about, because today is the day we visit the Ikea store. As a friend described the Ikea store, it is full of neat furniture, household items and Swedish meatballs. 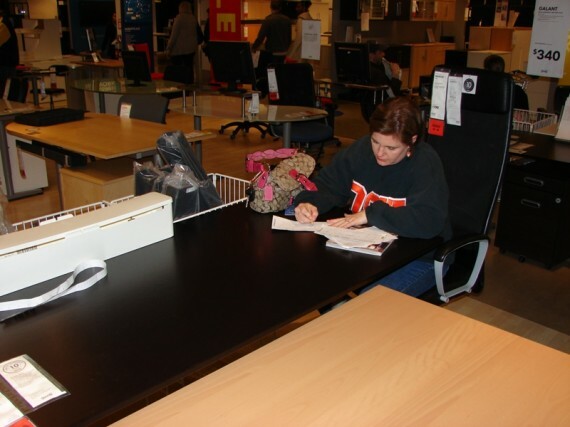 The Ikea store is located in Frisco and just visiting the store is quite an experience. 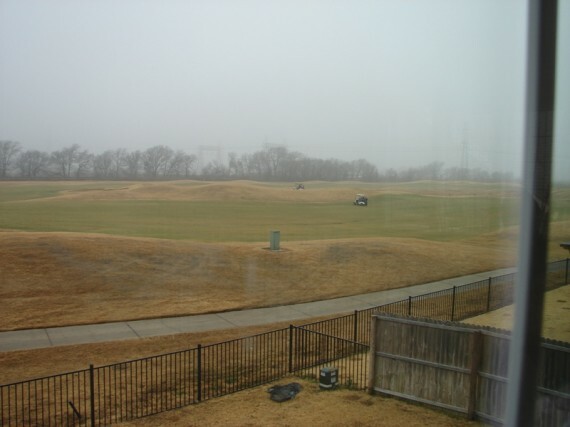 View of the Golf Course from our Rent House. 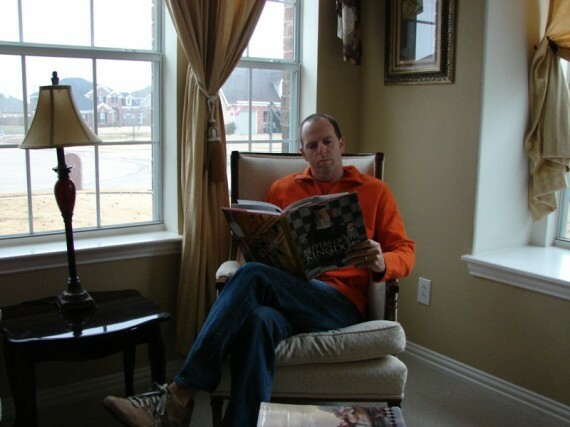 Steve relaxing with some literature before the shopping begins. Stephanie finalizes the Ikea shopping list before we depart. We had to drive 50 miles just to get to the store, and we arrived around 11. The moment we walked in the door, the smell of baking cinnamon rolls greets you. A store can’t get much more welcoming than that. Our first order of business was to return a small item that my aunt had purchased for us. We went to the Customer Service desk and took a number. We were encouraged by the sign which stated their goal is to not keep any customer waiting for more than 5 minutes. Yes! Unfortunately, the sign was not posted where the employees could see it, as it took us well over 30 minutes to conduct our business. 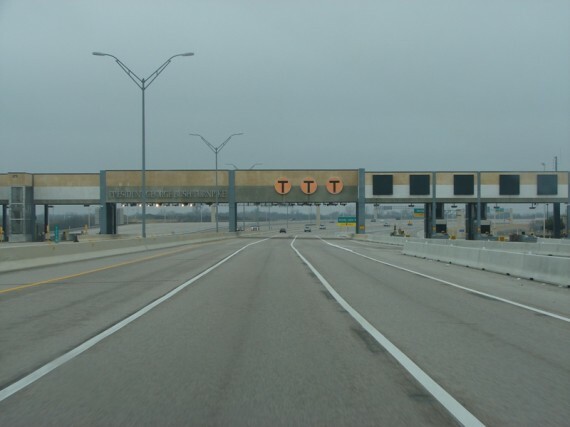 A tollbooth-free George Bush Turnpike. We did not want to let that event sour our experience, so we got our mood improved by a visit to the bathrooms. A trip to the Ikea bathroom puts a smile on your face due to their Dyson hand dryers. The kids had never seen anything quite like it. It was fun to simply stand outside the bathroom and watch people as they come out. Nearly everybody was smiling, and many people had something to say about the hand dryers. With that out of the road, we were ready to shop. Stephanie and I had actually made a list of things we wanted to get at the store, by thumbing through the catalogue a few days before our trip. So, we walked past the Day Care center, named “Smalland”, up the escalator to the 2nd floor, and began our shopping. The 2nd floor is set up with dozens and dozens of “showrooms”, where they are displaying their furniture in everyday use. It was a pretty neat setup. Miles and Marissa wrestling on a bed at Ikea. Mallory chillaxin' on a Bed at Ikea. We spent a considerable amount of time looking at the bookcases, and then it was off to look at something to house our television. We had picked out a full entertainment center in the catalogue, but it was nowhere near large enough for our television once we saw it in person. I agonized over their other options and finally decided on one that was on sale. Always a prudent move, in my opinion. It was only a little after 1:00 at this time, and we were already wearing the kids out. We decided it was time to refuel with some lunch. 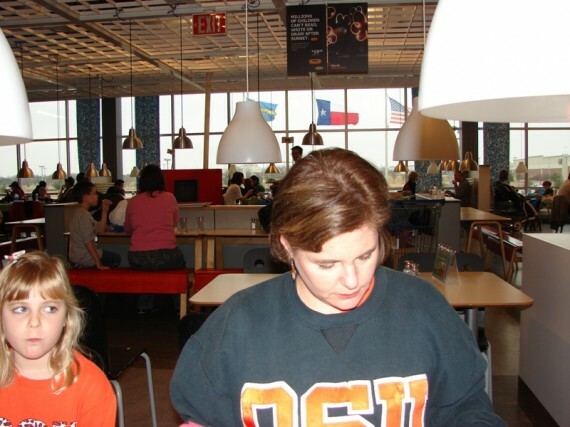 Lucky for us, the Ikea store has its own cafeteria onsite. It was very popular and we had to wait in line for probably 15 minutes to move through the line. To add to the wait, the power in the building flickered off and on several times. At one point, it seemed there was only partial power and it did not look like the cash registers were operational. Shortly, the power was restored and we ended up feeding all five of us for $21, so needless to say, I was impressed with their pricing. Lunch at Ikea. Note the Swedish Flag flying outside. We met up with the rest of our party at the cafeteria. They offered to take two kids back to the house with them, because they were nearly done shopping. We sent the two girls back with them and bribed Miles with some dessert to stay with us. After lunch, we started studying their office furniture. One of our goals was to purchase a new computer desk for the study. After scrutinizing all of their displays in detail (much to Miles’ agony), we decided to build our own using their mix-n-match pieces. Miles found himself a comfy chair, pulled his hoody up over his head, and kicked back during this process. 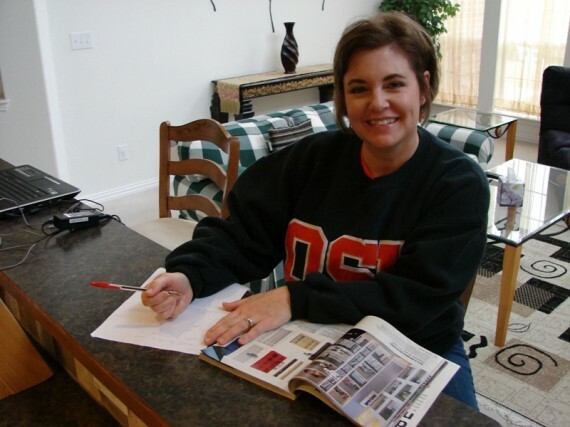 Stephanie putting the showroom desk to the test. After we finally made all our decisions, and wrote them down on paper, we were ready to head downstairs to the first floor. The first floor is full of household items, such as kitchen utensils, lighting, cushions, rugs, etc. Most all of the stuff on the first floor was cheap stuff made in China, and we made it through the floor with only one minor purchase. 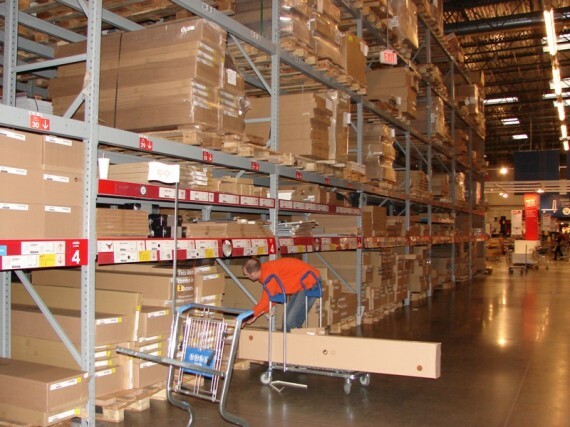 At the conclusion of your Ikea journey, you enter the warehouse and you find all of the furniture in boxes, which you pull yourself. Our shopping adventure was so successful that we required two carts to haul our treasures on. The store has its own loading area, where you back your vehicle up to the exit area. 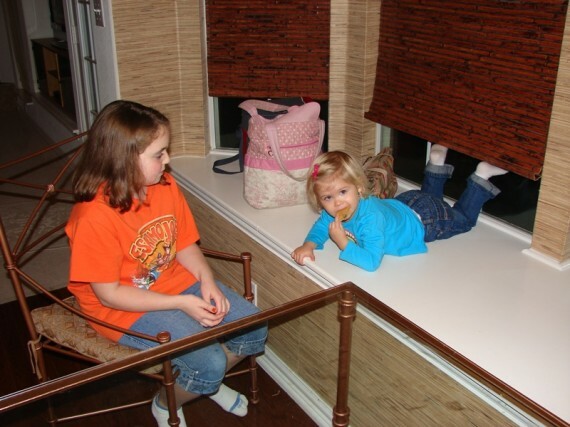 When we got our purchases outside, we had to move some of the seats around in order to get all of the boxes inside. At this point, we were glad that my parents had taken two of our passengers with them. Pulling our furniture from the warehouse at Ikea. 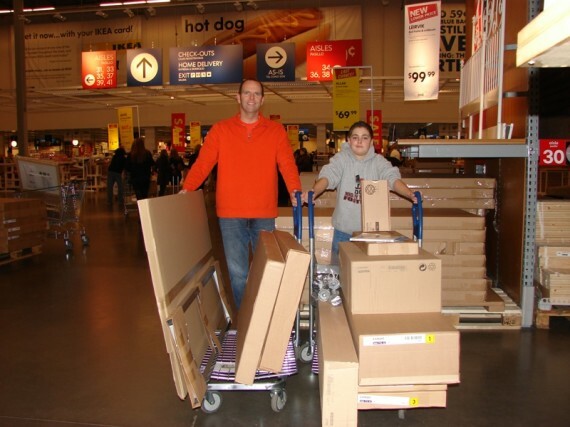 Two Full Carts at Ikea. Next was a visit to Sam Moon, which is an accessories store that my co-worker, Barbara, had told me about on several occasions. The store reminded us of many of the places in Las Vegas where you can purchase luggage, because Sam Moon had stacks and stacks of bags of all sizes. Stephanie was looking for a scarf and she found a nice one for $7. Before we could head back home, we made a stop at Wendy’s so that Miles could get a Frosty, in exchange for his pleasant participation at Ikea. Gotta keep the help happy. We made it back to the rental house just about the time dinner was ready. We were joined for the evening by our cousins Beth, Rodney, Morgan and Ryan. Apparently, their social calendars were open enough to squeeze us in on New Years Eve. Mallory loves to play with Morgan and I believe the feeling is mutual. They had a wonderful time playing before and after dinner. Scott enjoys telling a good story! Hey! My beer is empty! 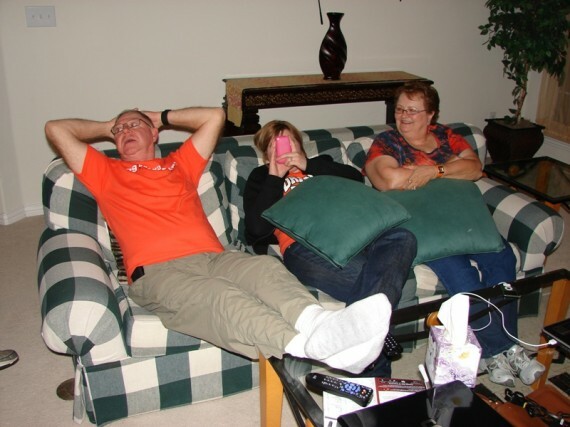 The evening was filled with college football on the tv and visiting with family. Very low-key, and a great way to wind down from this exciting day of furniture shopping. The cousins left early and the rest of us celebrated the new year on Eastern time and went to bed before midnight, because that is what old folks do.